Bulk SMS Malaysia | Daily Report - lowest price & most reliable Bulk SMS marketing tool, 2 way sms Malaysia, works with Bulk SMS Singapore, online sms solution, web sms marketing. As most companies would prefer to monitor their SMS usage daily, a daily report generated from the SMS system will help a lot. With such reports, you can plan your budget ahead. 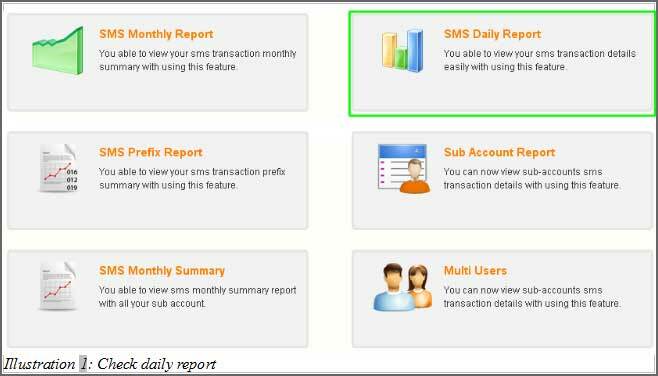 You can check your daily report by clicking on the SMS Daily Report button as shown in the steps below. 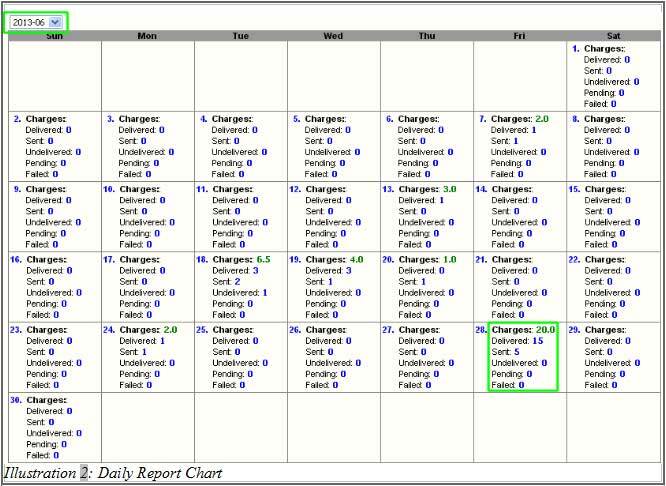 Below is a screenshot of the "SMS Daily Report", you will be able to choose the month you wanted to check at the top of the calendar. For example, the current month is June. The screenshot explains the user have used how many sms on which day. Based on 28th June's records, 20 messages has been charged. Your account will be charged for every sent SMS.